Q. Can I bring my dog to the Celebration? A. Yes, you may bring your dog to the Celebration. The Tulsa Police Department requires your dog be leashed for safety. A. 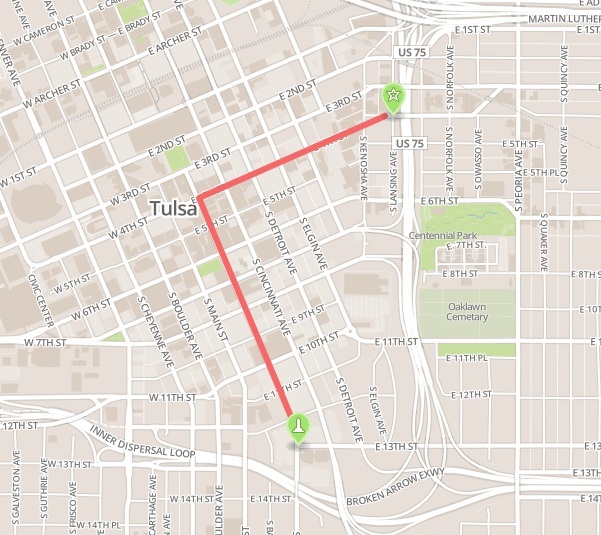 The Tulsa Pride Parade, Celebration, and Picnic in the Park are free of charge. Festival goers will have to purchase food and beverage if they like at the Street Festival. Other Pride events such as Zoo Day and various fundraisers will have entry charges associated. Q. Do you have to be 18 to attend? A. No, there is no age limit to attend the Tulsa Pride Parade, Celebration, or Picnic in the Park. All are welcome to attend. Small areas of the festival are restricted to 21 and up due to alcoholic beverage laws. Some other Tulsa Pride events have age limits depending on the venue (fundraisers at bars for example). Q. Is the festival appropriate for my children? A. Yes, the Tulsa Pride festival is very family friendly. All laws regarding dress, public behavior, and intoxication are well monitored by our on-site team of Tulsa Police Officers and private security. Q. Do you have to be gay to come to Pride? A. No. 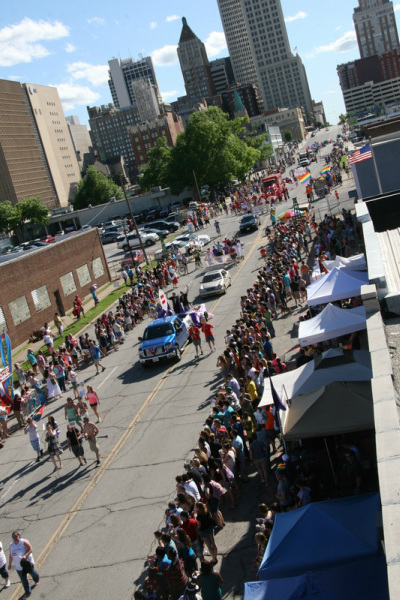 Tulsa Pride is not only about Gay Pride, it’s about coming together as a community and having a good time. Gay, Lesbian, Bi, Transgender, Questioning, Straight Allies, all are welcome! Q. Do you need Volunteers? A. Yes! Please see our Volunteer Page and sign up if you’re able. A. The Celebration is held at the corner of East 4th St, and South Kenosha Ave in Tulsa, OK. That’s just East of the Blue Dome District in Downtown Tulsa. Q. Where can I stay when I come to Tulsa Pride? A. There are several hotels in the Downtown Tulsa area. Check the Equality Business Alliance listing for LGBT Friendly hotels. A. There are many options for free parking for the Tulsa Pride Celebration, Parade, and Picnic in the Park. Curb-side parking is available in the area surrounding all of the events. 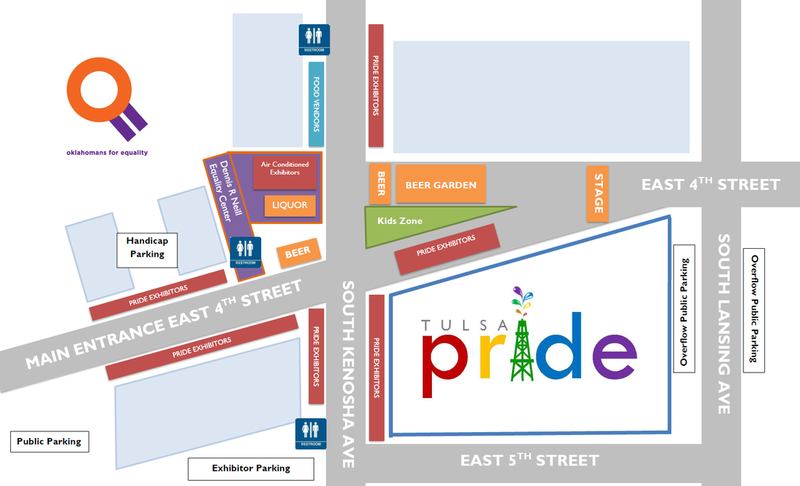 For the Tulsa Pride Celebration there is also a large parking lot free of charge at the corner of 4th and Frankfort Ave, next to the Main Entry Gate! Handicapped Accessible parking is available. See the 2018 Pride Exhibitors Map for details. Q. What is the Parade Route? Q. What is the best place to watch the Parade. A. There is excellent viewing all along the Parade route! Q. Who is Tulsa Pride? A. Tulsa Pride is a program of Oklahomans for Equality. Q. I’m Confused: what is the difference between Tulsa Pride, Oklahomans for Equality (OkEq), and the Dennis R. Neill Equality Center? A. Oklahomans for Equality is a 501 (c) (3) non-profit organization. Tulsa Pride is a program of Oklahomans for Equality and the Dennis R. Neill Equality Center is the headquarters of OkEq. Q. Why is the Picnic on a different day? A. Picnic in the Park, our family picnic, is the day after our Celebration. Tulsa Pride volunteers will have an opportunity to enjoy the day with their family and friends . For years our volunteers have not been able to fully enjoy the community aspect of the events because they’ve been so busy working the festival. This year, our folks will have an opportunity to kick back with the community they’re serving. Q. What other events are happening? A. Check out the Tulsa Pride Facebook Page. Q. Is Tulsa Pride accessible for the disabled and LGBT older adults? A. Yes, please visit our Accessibility Page for details. If we did not answer your question, feel free to fill out the contact form on the “Contact Us” page, or email directly to info@tulsapride.org.